The drive was a piece of cake. Parking was relatively easy. Destination…Oxomoco a relatively new restaurant named after the Aztec goddess of the night. It’s a happy place with fabulous food and a lovely, welcoming staff. We had a reservation, but there was a bit of a wait so we headed to the bar. Great decision because we spent the meal tended to by the fabulous Olivia who was posing as a highly competent bartender and in reality is the Oxomoco manager. Sitting next to me was a former 11 Madison Park employee. We had a very enlightening discussion about the NYC dining scene. 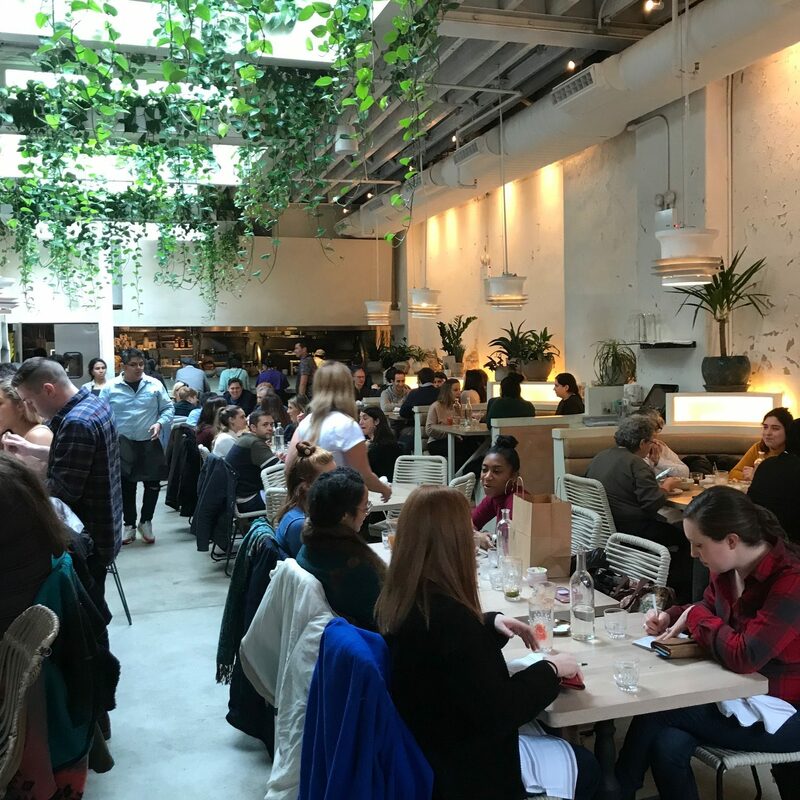 That is why bar dining is often the best option. 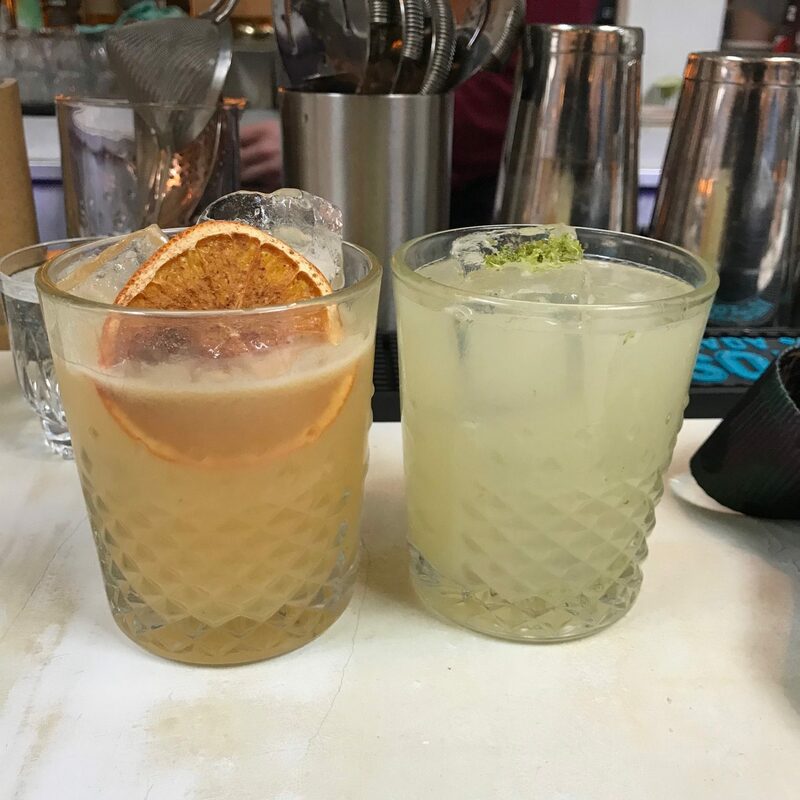 We kicked things off in the spacious, airy interior with a satisfying Tamarind Orange Margarita as well as a Classic ($14). 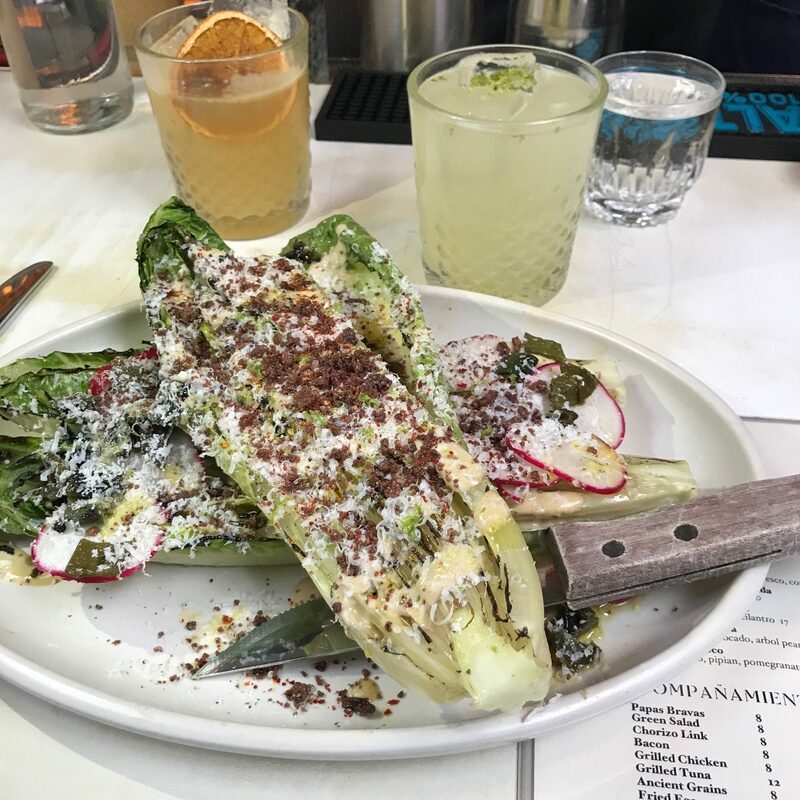 First up, a delectable Punta Verde Caesar Salad with wood fired romaine and cotija masa crunch. It was plentiful and absolutely delicious ($16). 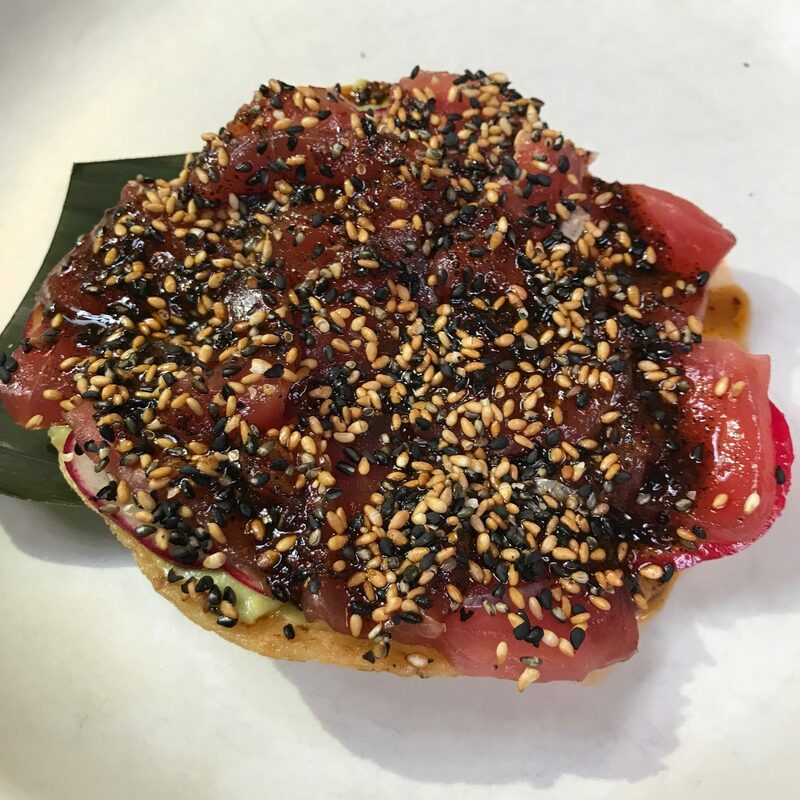 This was followed by a spectacular Soya Marinated Tuna Tostada with avocado, salsa macha, radish and toasted sesame seeds ($20). We shared a marvelous Kale Burrito with 3 eggs, roasted kale, avocado, queso, papas fritas and salsa cruda. It was enormous and definitely share worthy ($15). 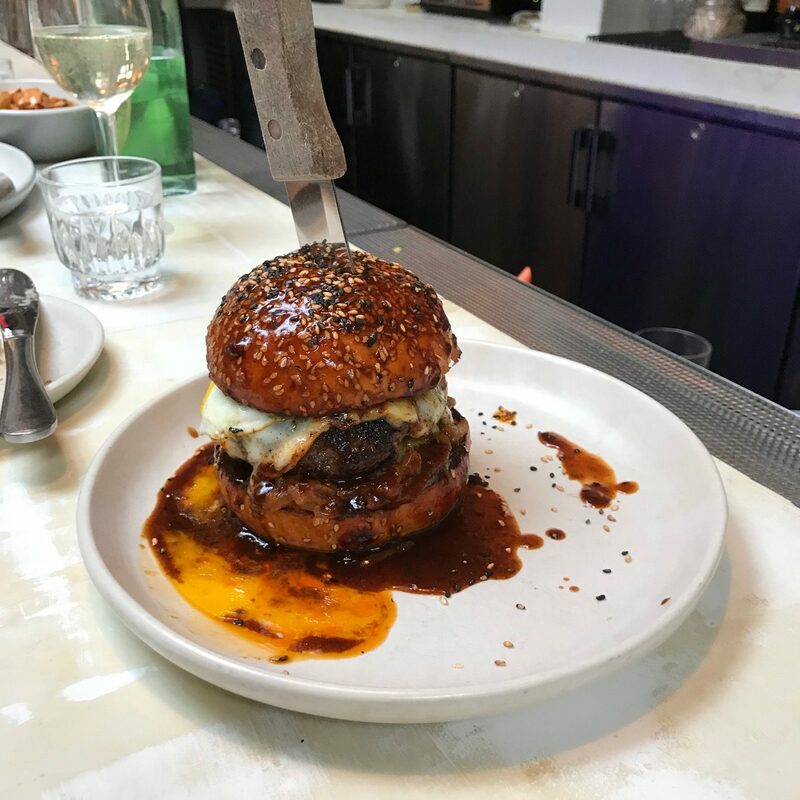 There are a plethora of meat items and our barmate ordered the Hamburguesa Pambazo consisting of 8oz dry aged beef, smoked onions, queso asado and salsa macha. He devoured it ($19). I just had to photograph the creation. Our dessert first choice was Masa Griddle Cakes with Oaxacan chocolate, banana and walnuts, but we missed last call as brunch ends at 3pm and they needed to prep the kitchen for dinner. 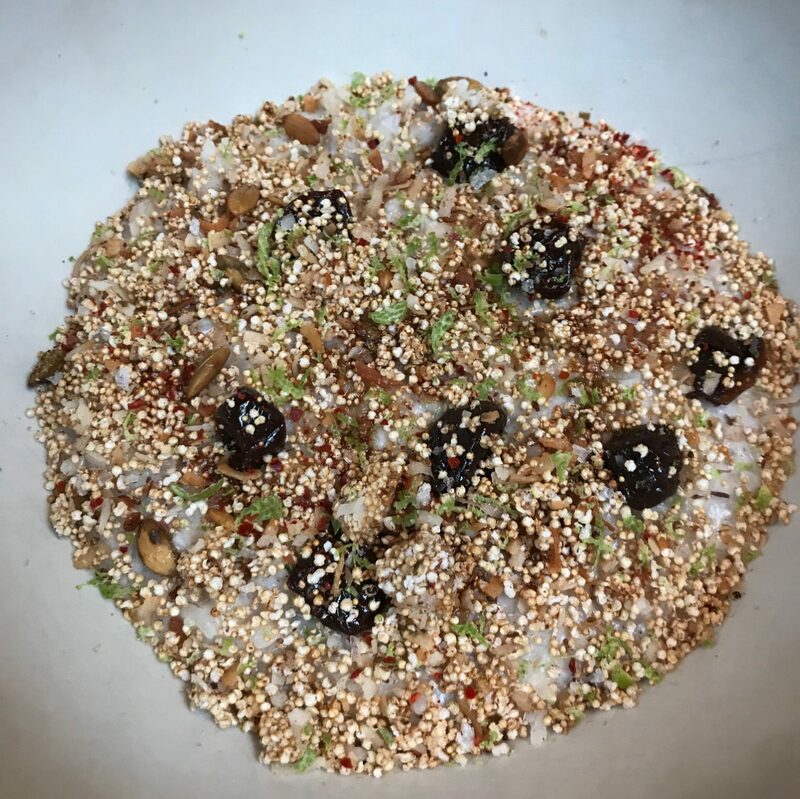 We went with the Horchata Chia Pudding with seasonal fresh and dried fruit…very refreshing and a lot less caloric ($12). 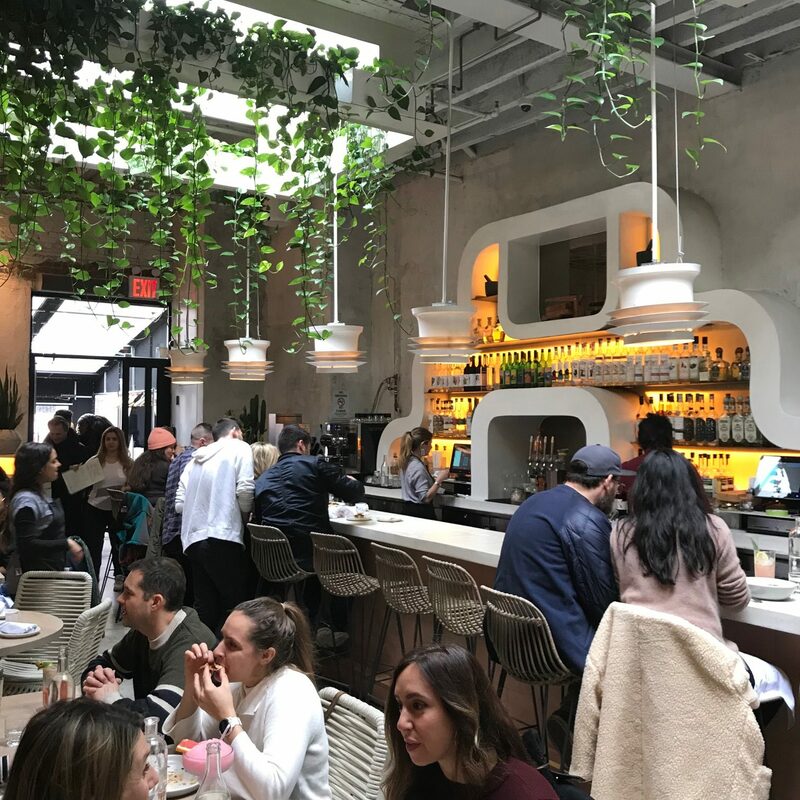 Oxomoco executive chef is Justin Bazdarich who is responsible for the Speedy Romeo restaurants (I previously reviewed Speedy Romeo on the LES) along with business partner Chris Walton. 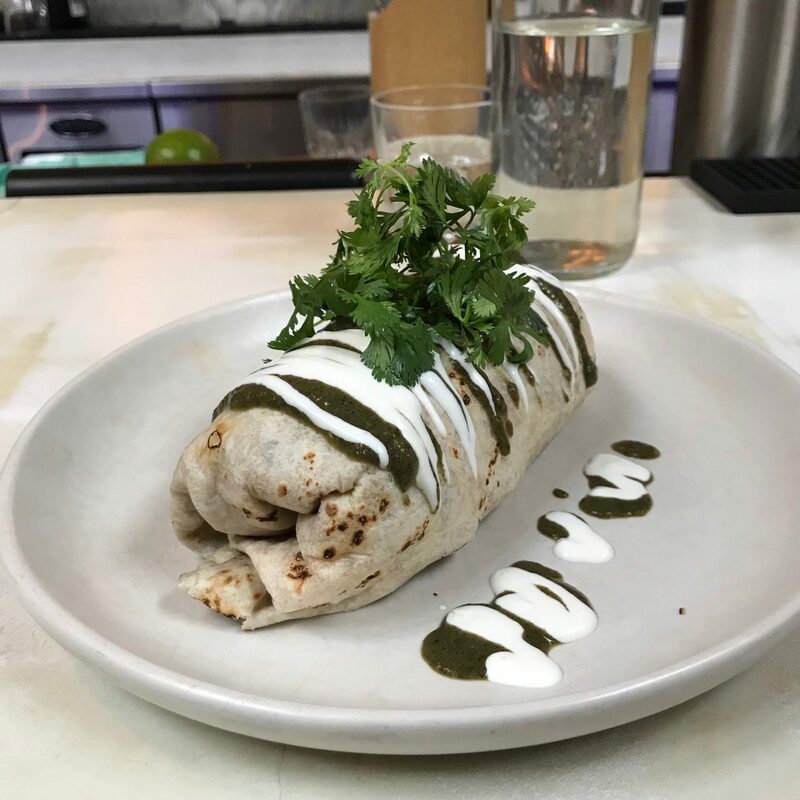 Oxomoco Chef de Cuisine is Matt Conroy, formerly of Empellon Cocina…honestly, Oxomoco is far superior to any of the Empellons.. 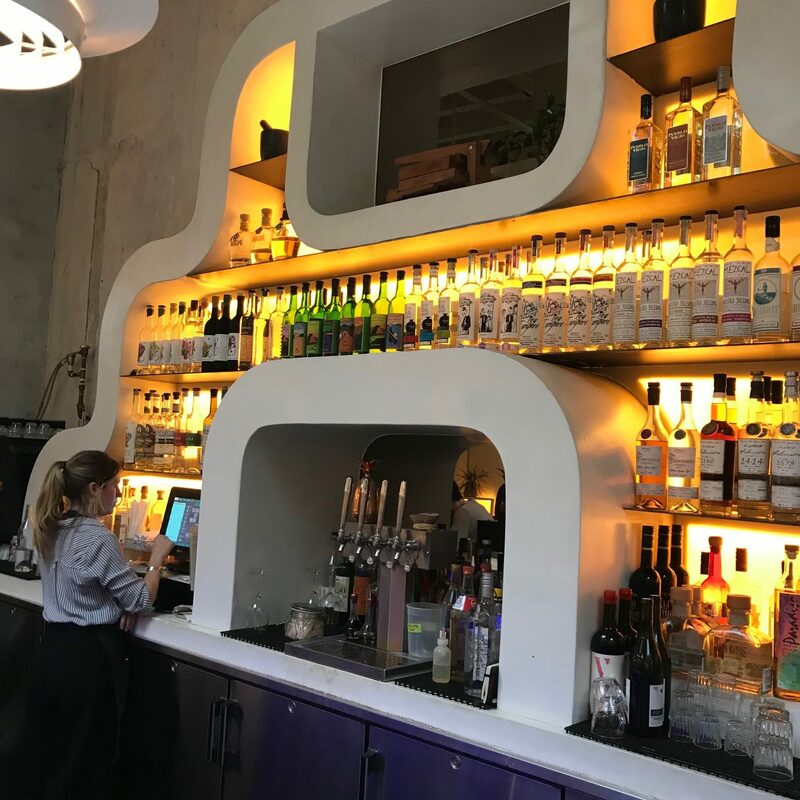 I love Oxomoco…it’s relaxed atmosphere, reasonable pricing and great food makes you want to settle in on a cold and lazy Sunday afternoon or when the temperature rises, sit on the patio and have an extremely enjoyable experience. 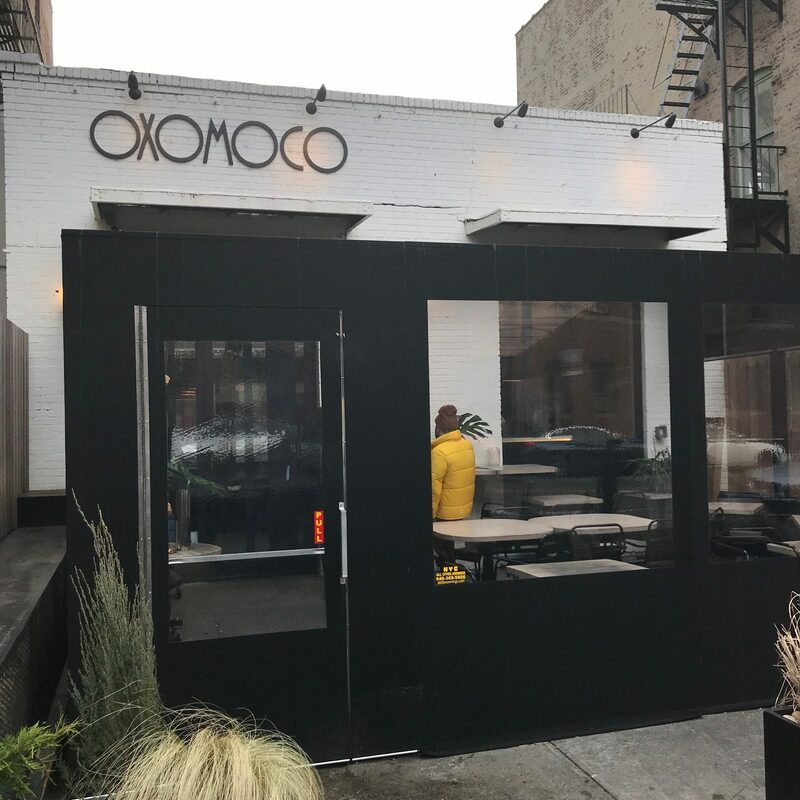 Oxomoco 128 Greenpoint Avenue Brooklyn, New York. Brunch Monday-Friday 12-3pm, Saturday and Sunday 11am-3pm. Dinner Monday-Wednesday 5:30-10pm, Thursday and Sunday 5:30-10:30pm, Friday and Saturday 5:30-11:30pm. Reservations on Resy. Street parking available.